The time we leave the dock can be tailored to your needs, but most Scalloping trips depart about 9 a.m. If you have a large group, we can handle groups of up to 50 folks through our network of other guides. I run out of River Haven Marina but pick up at other marinas or motels can be arranged. Scallop season in Steinhatchee begins late June and runs through September. 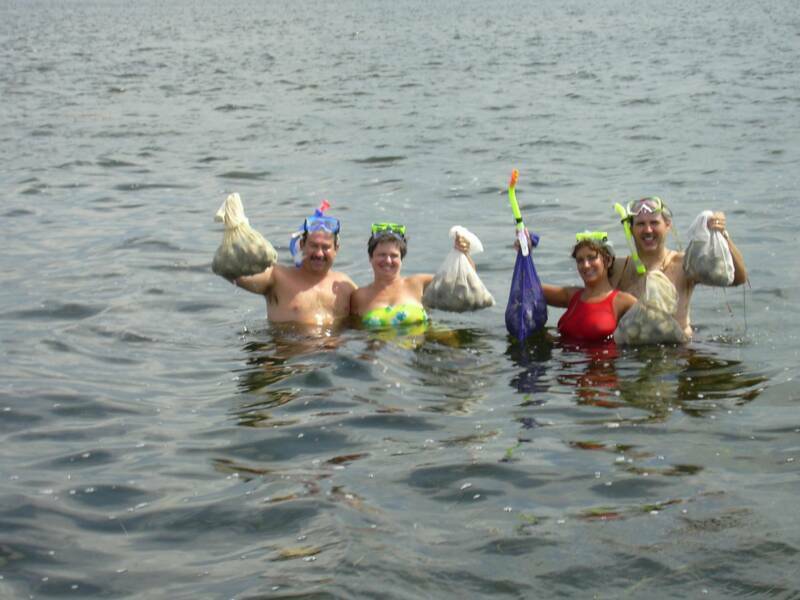 Scalloping is a great opportunity--take your family, friends, or co-workers and spend a fun day in the crystal clear water off Steinhatchee, Florida. All you need is your mask, snorkel, fins and whatever you would like to eat and drink for your trip. 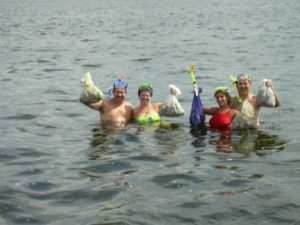 Scalloping Trips Fill Up Fast, Schedule Today! Interested in a Fishing Charter? Our Fishing Charters are great for the whole family! Make memories to last a lifetime with our Steinhatchee Fishing Guides.